Found a delightful tipple at the First Choice liquor store in Cairns last week. First time MB has ever found Pear Cider on sale in Australia. 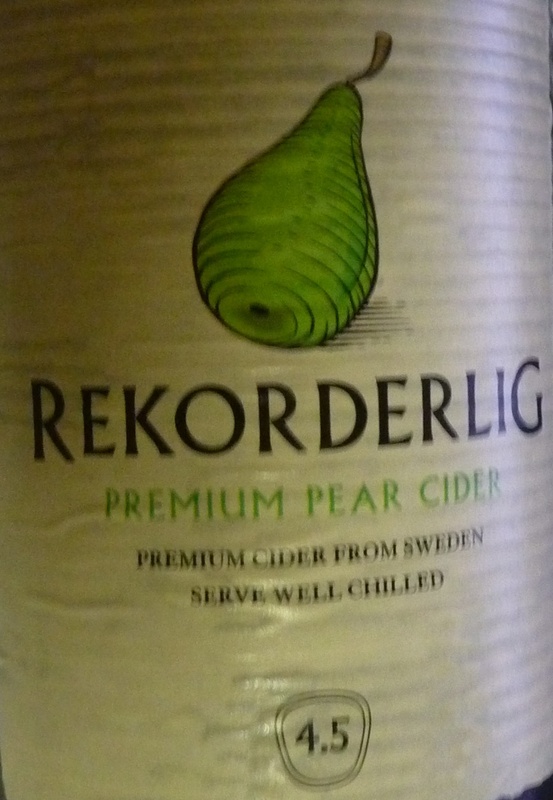 It's a very nice drop called Rekorderlig, highly recommended. Bob's a character isn't he just? What a coincidence, I just picked up a bottle of that Kopparberg Swedish cider last night. When I spotted it in the supermarket I immediately thought of you. It was lovely and I've been trying plenty of other ciders as well. I do like that Kopparberg better than the Rekorderlig. Cider seems to be on everyone's lips lately. Been tasting a lot of it. What's even better is that you can drink it. So more cider for Marcia and a lot less wine ha ha. Tried this pear cider and it reminded me of cough mixture. There apple I found much better.